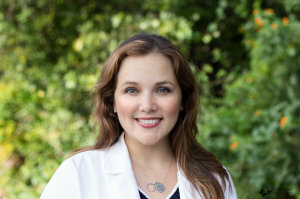 Dr. Herrero graduated from the University of Texas Health Science Center School of Medicine in San Antonio, TX. During her time in medical school she was awarded a prestigious scholarship with the National Health Service Corps for her commitment to primary care. After graduation she moved on to a pediatric residency at the University of New Mexico in Albuquerque. Afterward, she quickly found a home in Florida with Community Health Centers of Pinellas, where she fulfilled the terms of her scholarship. Her personal dream has always been to have a small intimate practice and to become a true pillar in the community. After many years of sacrifice and hard work, she has achieved her dream, and welcomes you to Dunedin Pediatrics. Outside of the office, she enjoys volunteering with her church and spending time with her husband and three beautiful children. You can find them kayaking in the bay, or on the Pinellas Trail training for their next marathon or triathlon. The Herrero family has a long lasting relationship with the Leukemia & Lymphoma Society’s Team in Training. Please ask us how you can donate to improve the lives of children with cancer. Dr. Herrero’s children are active sailors with the Dunedin Youth Sailing Association. Please visit their website if you’d like to donate! She was originally from Washington State, but made her way to the Sunshine State! 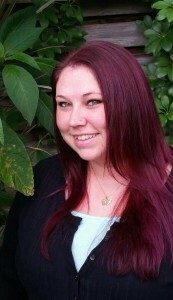 Dunedin Pediatrics welcomes Miss Brit as an integral part of our staff. She enjoys the outdoors, whether it is camping on an island, going to festivals or just a good old fashioned barbeque. Brit is married and a mother of two beautiful children. She loves spending time with her family, making memories and cherishing special moments. She also enjoys arts and crafts and being creative. Her biggest passion is helping others and assisting them with navigating the healthcare system. Come in today and she’ll be glad to help you!